Dalian Huarui Heavy Industry CNC Equipment, a subsidiary of Dalian DHI-DCW Group Co, is a first-class technique intensive enterprise of research, manufacture and sale by taking advantage of first grade technique researching ability and production ability of DHI-DCW Group Co.
Our Honeybee brand CNC cutting products include Portable Flame/Plasma cutting machine, Gantry CNC cutting machine, Bevel Cutting, Fiber Laser and YAG Laser machine. 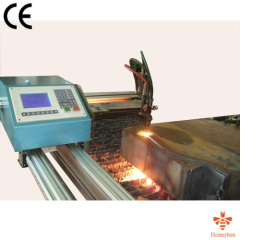 With the belief of rejuvenating national cutting machine manufacturing industry, combining strong the ability of technical research and effective management, focusing on the talented and technical recreation, we make all efforts to build an international brand as one Chinese leading cutting equipment manufacturers. Nowadays, our markets have extended to Europe, South East Asia, and South America, Australia, Middle East and other countries and regions with professional sales service. We are always looking forward to business cooperation with overseas customers.